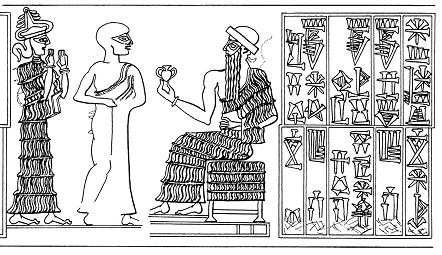 Around 3500 B.C., just before the birth of writing, Sumerians had already been maintaining a civilization for thousands of years, complete with farming, temples, and all kinds of commerce, all of which required record keeping. Luckily, someone in 3500 B.C. decided there was a better way to keep records, one that was quicker, more convenient, and undoubtedly one that was easier to file than a bunch of clay balls! And so writing was born, bringing with it the demand for those who could do it. In 2000 B.C., scribes were some of the most educated people in the world. Along with reading and writing cuneiform, scribes eventually evolved to have chops in math or science or business or literature. This isn’t to say status was the requirement to become a scribe, but rather the usual source of the requirement: money. Along with money, becoming a scribe took time and hard work. It’s important to keep in mind that cuneiform was very difficult, even for those who used it practically. Boys were sent to an e-dubba, a tablet house where they would spend years learning to read and write the cuneiform script and the subjects they would write about. When they graduated, they became dubsars, tablet writers. That schooling was no cakewalk for the student, nor was it for his parents. Aside from what I am going to take the liberty of calling tuition, a future scribe’s father also had to factor in the expense of keeping his son’s schoolmaster happy, who expected to be wined and dined in order to go a little easy on a pupil. The son, in the meantime, had to climb up a hierarchy within an e-dubba. You can read more about what these tablet houses were like here and here. As far as how those women scribes got their chops, priestesses were taught at the temples they served, while those not taking the religious path were taught at home. For the first thousand years or so after writing was invented, everything written down was of an administrative nature. “Most people will therefore be disappointed to learn that writing was invented for the simple purpose of conducting business transactions, to record the exchange of merchandise,” wrote Starr. 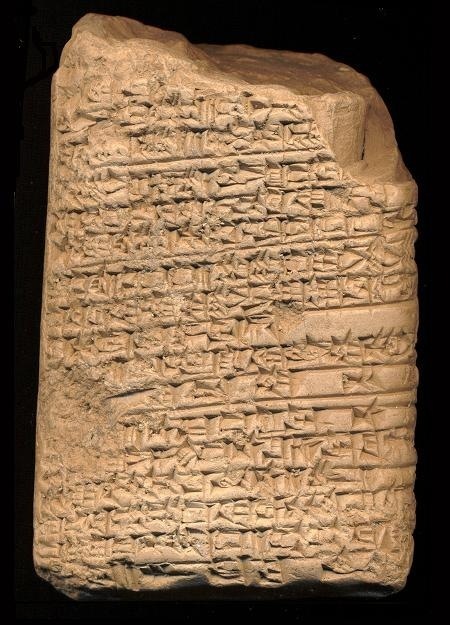 Even after Sumerians branched out to recording more subjective subjects, 97% of what they recorded were things like receipts, ledgers, inventories, contracts, nothing inherently interesting or telling about the human condition. They were practical people, those Sumerians. This brings us to what scribes could do with their skills, subjectively or not. “…It’s unlikely that any scribe ever went hungry for lack of paying work,” wrote Starr. And it’s easy to see why the sky was the limit for a man who graduated from a tablet house. If he came from a family of merchants, he kept records for the business; if he worked in a temple, he recorded offerings for the gods. Heck, e-dubbas needed teachers, and given that e-dubbas were focused on producing bureaucratic officials, the king, whether literate or not, needed a scribe. The king’s court was like Google, where the best minds wanted to end up. A scribe didn’t even have to be a full-time scribe to reap the benefits of his skills. He could set up shop in the middle of the town square and write letters for his illiterate neighbors and never go hungry like most people did in the ancient world. In the Old Babylonian City of Sippar women recorded the transactions of members of the cloister, the city’s financial institution. What we might consider HR records from Sippar (and Mari too) show that a good number of those women were slaves. Women scribes are also known to have written songs and lullabies for the royalty, along with laments. According to Nemet-Nejat, royal women of the Ur III Dynasty (2114-2004 B.C.) wrote songs to praise their kings. As I mentioned in the last section, only some scribes got to let themselves be known directly through their work to anyone other than their employer. I also mentioned there were female slave scribes whose social status gave them less pay than their colleagues. Obviously, there was a hierarchy within the elite. The son of a merchant has as much chance to become a dubsar as the son of a king, sure, but once those two are out in the real world, their social differences surely resurface. Moreover, without a signature, it gets hard to know anything about the scribe, even their gender. 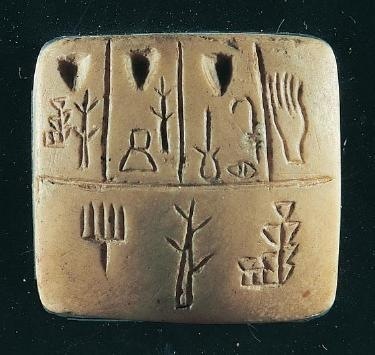 Nemet-Nejat wrote that we see signatures on some tablets as early as 2600 B.C. 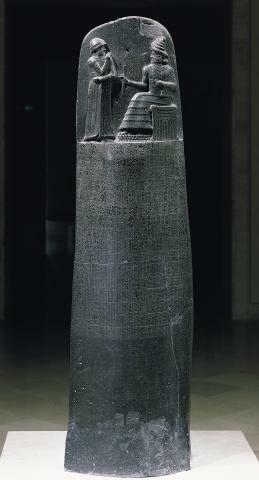 Now, perhaps due to the verbal storytelling tradition, literary works, like the Epic of Gilgamesh, were set to stone anonymously, but that did not mean the one who set it to stone couldn’t be held accountable for mistakes–a list of scribes who wrote and edited well-known works was found at Nineveh. The most profound examples, I feel, which demonstrate just how big a gap there is between a royal/noble scribe versus anyone else, lies in one of the products of scribes: the seal. Loftier scribes made seals, autograph stamps, if you will. 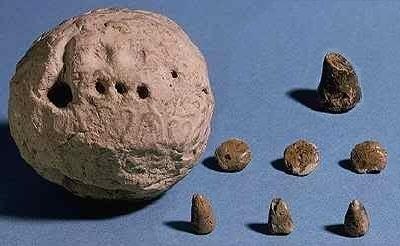 Seals were cylinders made of stone, carved with impressions pertaining to their owner, often bearing divine scenes that tell a lot about his/her social status. It is through these scenes we get an idea of just how revered a literate royal or noble was. Even goddesses took the backseat to scribes of noble or royal birth, and it is clear that it was those individuals whom the king employed in his courts to be his officials and recorders of his feats. And this brings us to an important distinction, a case of semantics. On his blog, Starr has written about Tablet #36. It is a tablet that embodies all of what Nemet-Nejat (indirectly) says makes it the work of a unique author. Tablet #36 was a mystery until Starr translated it and found it was an encoded political satire, a work written by one, no ordinary scribe: “…the language of [Tablet #36] is too sophisticated to have been written by someone who was only casually acquainted with the complexities of narrative cuneiform writing,” Starr wrote. “There can be little doubt that the story of [Tablet #36] was written by a full-time ‘wordsmith. '” You can read about this tablet, the content of which Starr titled “The Great Fatted Bull,” along with Starr’s musings about its enigmatic author here. Starr points out that the author of Tablet #36 was most probably not a full-time scribe, just someone who could write and had the luxury of thinking for himself, along with the time to create a code for his dangerous thoughts. This guy was a completely different animal from, say, Arad-Nanna, who was too drunk on rubbing elbows with the king to criticize him. Enheduanna, daughter of Sargon of Akkad and the Shakespeare of Sumerian literature, was also a different animal. She wrote poems and laments that included a personal dimension, something I mentioned earlier was reserved for a special few allowed to include themselves in the human experience, and a rare occurrence in much of the ancient world’s writings. Enheduanna was no run-of-the-mill scribe who only wrote generic praise-filled songs to the king, no. She wrote about her expulsion during her brother’s reign, a criticism that wouldn’t have let her writing career span some forty years, as she wouldn’t have been left to live it. Imagine what a world this would’ve been without scribes.